The winner for our “Ghost Towns of Death Valley” DVD is, drum roll please……. 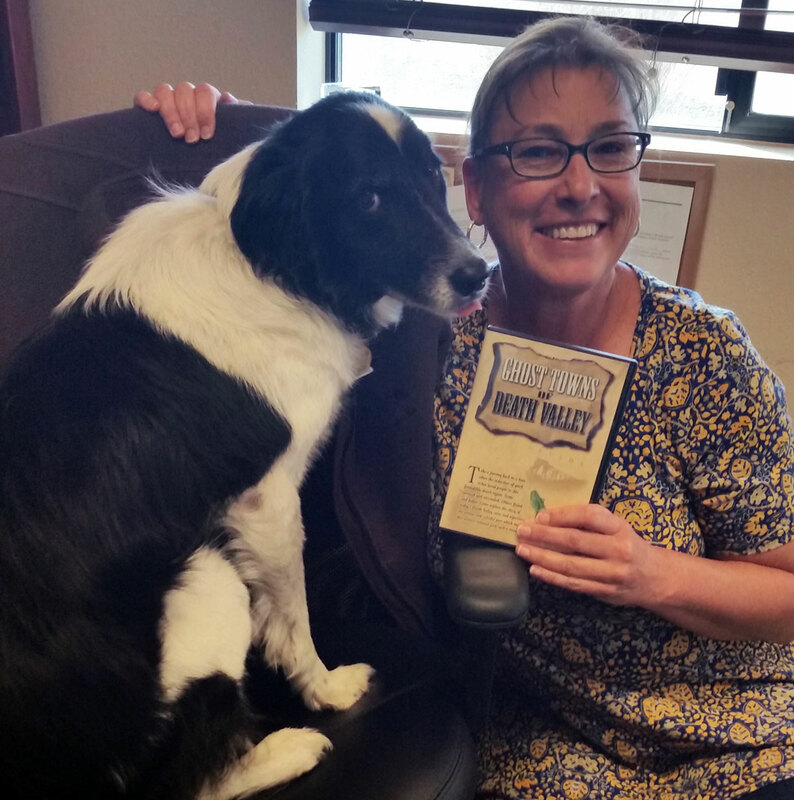 Tammy exclaimed, “I am delighted to win the DVD and I plan to watch it tonight!” She just recently subscribed and has been, “enjoying reading the camping stories.” She is pictured here with her dog buddy, Kate. Tammy loves to camp, kayak and hike. Thank you Tammy and to all of our subscribers for entering our drawing. Ghost Towns of Death Valley is a 44 minute account that explores the western boom towns of Death Valley, illustrated with rare early film footage, vintage photos, and the breathtaking scenery of Death Valley National Park. Become a newsletter subscriber for your chance to win prizes and get the inside scoop on our camping trips and tips.